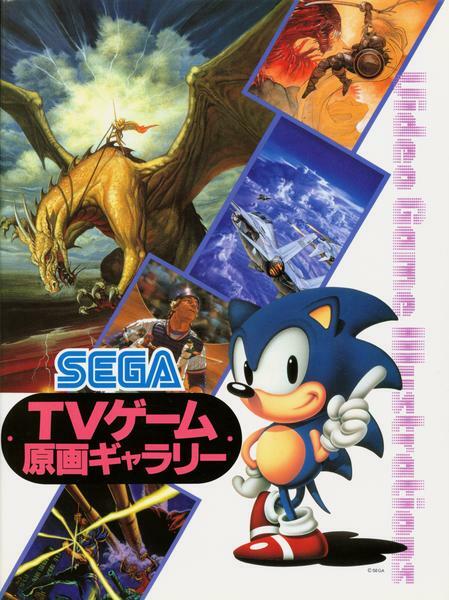 The front dust jacket of Sega Video Game Illustrations previews some of the artwork contained in the book. Some of these illustrations are cover art from early Sega game releases. The ever famous mascot of the company, Sonic the Hedgehog, makes this instantly recognizable as a Sega book. Unfortunately, Phantasy Star did not make the covers of this book. It has some interesting Phantasy Star content, however.